Why should you audit your warehouse? When it comes to auditing the warehouse, most of our attention focuses on "how to," but underlying all this commentary is "why?" Auditing any operation is hard work. Indeed, some may think there are insufficient potential results to justify the effort involved. After a brutal period of downsizing and reorganizing, the U.S. manufacturing sector has become the most competitive in the world. Output per worker is higher than in any other major manufacturing country. Labor costs per unit of output are lower than in Brazil, Canada and Germany, and only slightly higher than in China. On occasion, we have completed client projects to compare third-party logistics and fulfillment services and costs to the cost of expanding a company's internal fulfillment operations. These have included ecommerce, wholesale and retail companies. Just to be clear, much of our client work is with improving internal fulfillment operations, so we are objective when it comes to helping them determine when a 3PL is the right decision. Warehousing always has been a risky business. 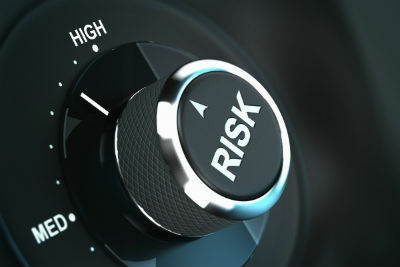 In our present-day global economy, the risks are more diverse and more plentiful than ever before. The concept of devops has taken root in the world of business intelligence and analytics. The overall concept of devops has been around for a while in traditional IT departments as they sought to expand and refine the way that they implemented software and applications. The core of devops in the world of analytics is called data warehouse automation, which links together the design and implementation of analytical environments into repeatable processes and should lead to increased data warehouse and data mart quality. Lansdale Warehouse is committed to excellence and customer satisfaction. The Lansdale Warehouse Company provides premier warehouse and distribution services in a safe and secure environment for customers' goods at a reasonable cost. Our "quality management" atmosphere engenders an entrepreneurial attitude that ultimately translates into "100% customer satisfaction through a 'zero defectives' process." Continuous improvement attitudes ensure dependable customer service. Employee participation, honest communication and a clearly defined understanding of our customers' needs support our successful process. Engage your customer base. Launch your Corporate Brief today.